Children of all ages love to show up dad with our Train Kiddie Striker. 7’ tall and less than 80lbs. 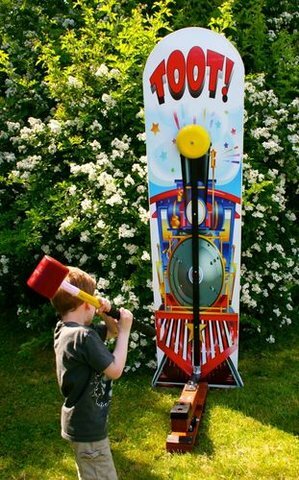 With the Train Kiddie Striker, you’ll find kids lining up to give it a try. Kids wont go away disappointed either, because the Kiddie Striker rings every time! Great for birthday parties, block parties and carnival type events.